Through testimonials, stylized visualizations and on-going narratives following our soldiers and their service dogs, our film offers a meditation on wartime behaviors that have illuminated the bleakest aspects of we humans for millennia. And it repeatedly asks: What is the cost? A documentary film about veterans with PTSD and the service dogs that help them return to the world. 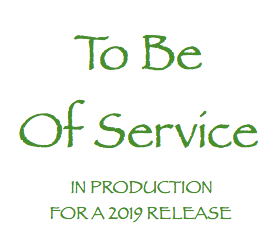 TO BE OF SERVICE is a feature-length documentary film about war veterans suffering from Post Traumatic Stress Disorder ( PTSD) who are paired with a service dog to help them regain their lives. These vets' experience of returning home is often wrought with depression and a wrenching disconnect from the world they once inhabited. Family, old friends and jobs seem foreign and the newly returned men and women struggle to function and return to a civilian normal. Since Viet Nam the VA has worked to develop treatment programs for vets suffering from PTSD including therapy and medications, but as yet there is no universally effective protocol. The VA has launched a study into the use service dogs for vets with PTSD but their research is scheduled to take years; until it's proven that service dogs are an effective treatment, the VA will not sanction service dogs as a treatment and no funding will be forthcoming for dogs. But through extraordinary personal effort and scholarship programs, thousands of vets have been paired with trained service dogs and the outcomes have been life changing.